Patterson has written a number of concertos featuring stringed instruments, and this work is his second for solo violin. It was commissioned by the Kingston Philharmonia in memory of Sylvia Green and specially written for the exceptional talents of soloist Clare Howick. In contrast to the first concerto, the Serenade as its title suggest is a piece that points to the work’s sunny and more engaging approach in its musical environment. 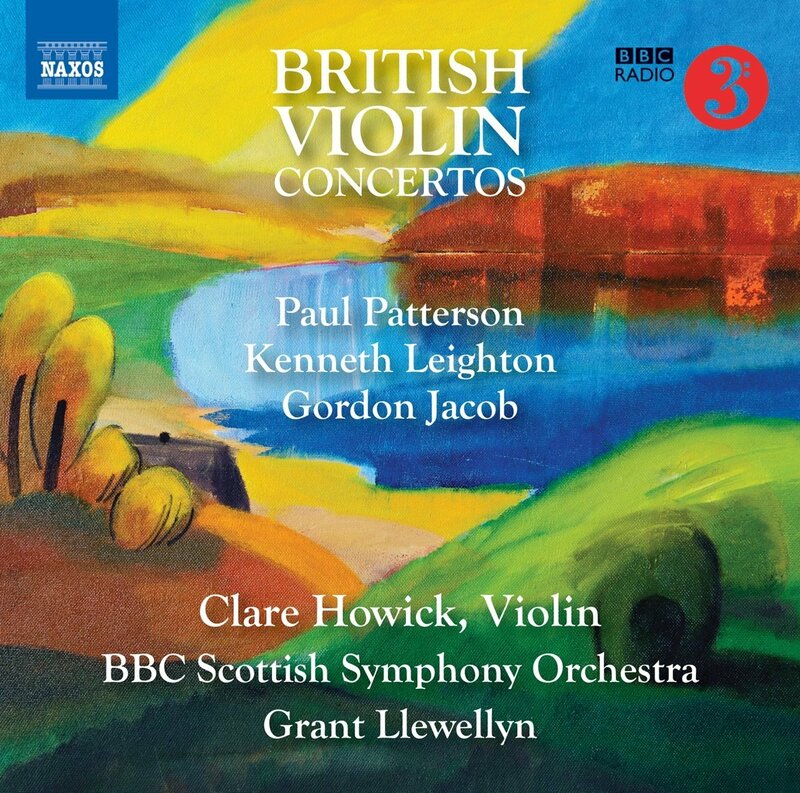 In his previous concertos Patterson has limited his orchestral forces to strings, but for the Serenade, they are joined by double woodwinds, 2 horns, 2 trumpets, timpani and harp, thereby considerably expanding the palette of orchestral colours. Its three movements run without a break; the opening movement starts with a bustling Toccata which engages the soloist in a vigorous dialogue with the orchestra. Towards the end the music gradually calms down and merges into the second movement, a lilting lyrical Barcarolle with flowing melodies that float between the soloist and orchestra, the trumpets and timpani are silent in this movement. The full forces are once again deployed in the final movement; following a brisk introduction, the solo violin has a dazzling cadenza that leads into a sparky Valse-Scherzo which eventually brings the Serenade to an exuberant conclusion.